There seem to be as many ESR meter designs as people who use them. I have decided to share my ESR meter design with the group. Strictly speaking this ESR meter does not measure ESR, it measures the impedance of the capacitor under test at 100kHz. For Capacitors larger than a few uF this is approximately equal to the ESR. 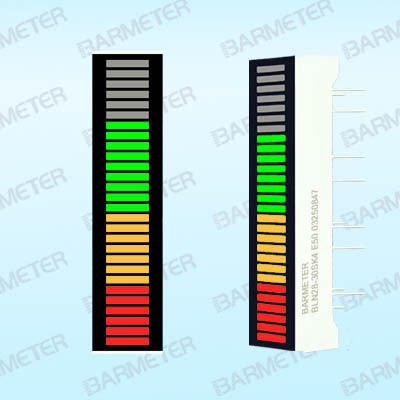 ESR meter do not need to be precise, it most instances a bad capacitor will have any ESR many times that of a good one. When I was kid, radio manufacturers would sell transistor radios based on the number of transistor in them. This is a 5 transistor ESR meter. The only IC that used is a 5V regulator. The circuit should also work directly from 3 or 4 AA batteries without the regulator. The design should work with any general purpose transistors. The diodes in the meter circuit will effect the meter scale. Use small signal Schottky diodes such as 1N5711, common diodes like BAT54 have too much capacitance. OA91 or similar Ge diode should also work. The maximum voltage on the capacitor under test is 100mV. This allows for in-circuit testing. The building blocks are labelled. This is the result of the LTspice modelling, it shows how the meter deflection changes with ESR. This good because it gives an expanded scale. And then the board layout, I used SMD parts, but thru hole parts could also be used. The meter circuit was hooked up. The meter deflection was measure using some low value resistor. Artwork for a new meter scale was drawn using Corel Draw. The meter scale was printed on Photo paper to be attached to the meter. If you build this, remember to discharge capacitors before using. Current consumption is 26mA, that is about 25 hours of use. Any chance you could share the LTSpice file by attaching it to your 1st post ? Zip it 1st then attach. I have added the LTspice file to the original message. Run the LTspice file. The circuit will run 15 times. Then right click in the Error log window. The curve will then be displayed. Would have built one myself, but came across this a couple of weeks ago. For that price I think I'll give that one a try. Some more info can be found here. I have had a look at the eBay offering. It looks a lot the AVR Transistor Tester that was started by Markus. It is possible that the software has been expanded to add additional functions. If you search 'markus AVR transistor tester' and look at the images you will find a lot of variations of this design. It doesn't look like the unit can make in-circuit measurements, but I might be wrong. You will have to let us know how well this unit works. May be somebody else has one? In my design, I wanted to see if I could do something useful with a few transistors. 1. It is similar but of a later version. You can read more in the link I added to diyAudio forum. 2. Says the maximum voltage in the capacitor/ESR measurement range is 300mV, so it should be good for in circuit measurements as well. That looks awesome! Really professional finish, looks like you used a cnc mill for a lot of it. The circuit board and the front panel were made with a LPKF Protomat C60. I was extremely lucky to find this, complete with the tools, vacuum and software at a reasonable price. After milling the board was tinned using MG Chemicals 'Liquid Tin'. Did you just use some precision resistors for setting the scale? How many did you use? I measured the deflection with the original meter scale. Plotted a graph in Excel and calculated the deflection angles for the marks on the meter. Keep the leads short especially when measuring the lower values. After I had finished the ESR meter I checked the calibration with some electrolytic capacitors that had been measured with a HP 4275A LCR (Z) Meter. This LCR meter works at frequencies from 10 kHz to 10 MHz, has a basic accuracy of 0.1% and 5 1/2 Digit display. So you used the 50uA scale since it is a linear scale. You measured the total angle of that scale? And then you did some proportions or something? Corel Draw makes this easy? I understand how you did the math. Not so sure how I would go about drawing an accurate scale. I have Gimp..not too fluent in it. I did a similar thing with mine, just skipped the printing of the scale thing. Used white out to remove the original scale markings, then sat with some resistors and did the same plotting of where the pointer was deflected to, then wrote the values with a Rotring drafting pen. Not the neatest or the most accurate, but does the job. I measured the meter that I had using digital caliper. In my case the meter was 90o total deflection. Corel Draw defines 0o as vertical. So the angles required are +/- 45o. The construction lines were deleted when the scale was finished. Corel Draw is probably not the best software to us for this, but it is what I had available. I believe the MeterBasic, free version, only supports linear scales. I could not justify the $ for one meter. Both the ARRL [ American Radio Relay league ] books , handbook & antenna book , have CDs in then with lots of software , ment for ham radio electronic repair & building . Really cool gadget, wish I could buy something like that for a few bucks and instead of a meter output to a micro, then a device could monitor it's own caps. Has anybody else built this ESR? Would there be any interest in a thru-hole circuit board design? I really like the design. I'd like to build it on a single sided board with standard componenets. I've made a few PCB's, but havn't been able to use any of the PCB design tools. I think it would be a great project, as yours has very good low end resolution. Bumping an old thread when looking at various diy esr meter circuits, Jay_Diddy_B, is there any possibilities of modifying the circuit, while still using jelly bean components, but the output is for digital volt meter instead of analog one ? Wishing this will not make the circuit overly complicated compared to the original version. The reason I asked is finding a good analog meter is not easy, or at least cheap here in my place, which defies the original purpose that this circuit supposed to be simple, easy to build & cheap ESR meter. I ended up the same way when I build my esr meter years ago. so I used a bargraph and a lm3916 and it still works fine ! today I could use more segments (2x10 bargraphs) or the nice 28 segments display I found on ebay. Yeah, maybe for experience EEs or pros which probably have many old unused T&M gadgets that still using analog meter that easily pull one for use, but its quite a hard for enthusiasts like me which usually do not have this kind of old analog gears around. But my wish still reasonable I think, especially nowdays a DMM is a electronics noobs must have tool. but the output is for digital volt meter instead of analog one ? Yeah. I made one, far simpler than the OP's, using logic gates + some diodes, with a voltage read out -> making it an adapter for a digital meter. As to analog read-out, analog multi-meters are fairly cheap, either in store or on ebay. The fundamental issue with something like this is that they are NOT ESR meters -> they are ac impedance measurement tools. So you have to run them at high frequency to sufficiently null the impact of the capacitance. Before I designed the 5 Transistor ESR meter, I designed and built an ESR meter using a digital panel meter. The design is unusual in that it uses 10kHz, instead of the more usual 100kHz. By using a synchronous rectifier to measure the in-phase component of the capacitor impedance. I have attached the schematic in pdf format so that it will be easier to read.